As you can see in the picture above the owner of the property has taken steps to repair his damaged Vinyl Siding, although it is not the prettiest way of doing so. He has taken a hammer and nails and nailed the Vinyl Siding to the exterior of the building. While this will stop the Vinyl Siding from flapping in the wind, drooping or falling off, it does not stop the whole area from just being plain old ugly! Not only does it look ugly but now the whole purpose of the Vinyl Siding (to cover and protect the structure underneath) has been destroyed. Moisture will now be able to penetrate through the nail holes placed in the Vinyl Siding, if left this way for years to come, moisture issues are a real threat which could result in wood rotting and insect damage. So while he has fixed his problems temporarily, and, was probably very angry that the Vinyl Siding that he spent his hard earned money on what has become useless, he has now created a new set of issues to deal with if he decides to leave the Vinyl Siding in this condition. As we all know living in the South with our humidity and moisture, it does not take a long time to see damage occur. And the fact that the damage will occur underneath the Vinyl Siding where it is not visible to the human eye is a recipe for disaster just waiting to happen. While we understand the frustration involved in this situation it is best to resolve the issue as quickly as possible. This consumer should not delay, he should replace all on the Vinyl Siding on the building as soon as possible. But to replace this damaged Vinyl Siding with more Vinyl Siding is not the answer. The answer is to replace the damaged product with a product that will stand up to time and the elements. 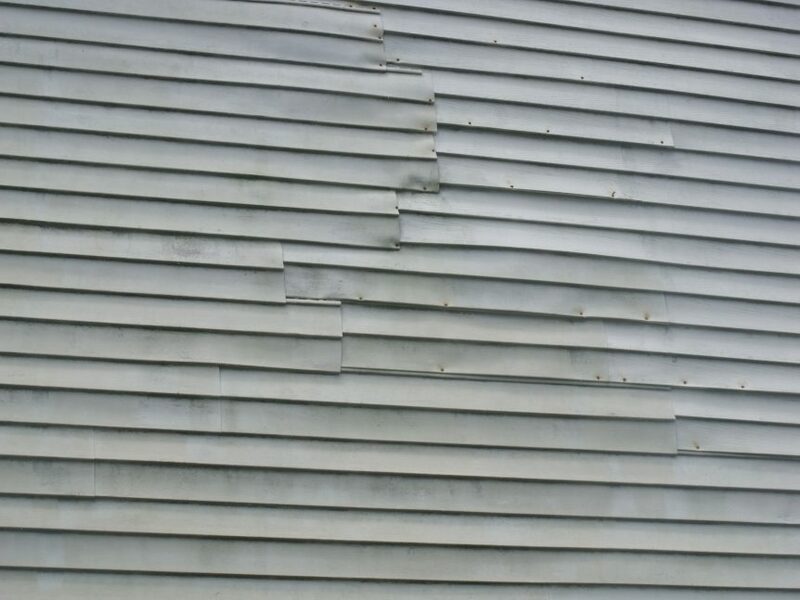 Steel Siding IS the answer, a Steel Siding System installed by MAXWALLPRO will solve this Vinyl Siding disaster and make the home or building energy efficient. Not only that, the building will look beautiful when the project is done, a finished product anyone would be proud of.